China's Liu Yu had seven birdies and an eagle in a seven-under par 65 on Saturday to seize a one-shot lead over Carlota Ciganda in the LPGA Founders Cup. 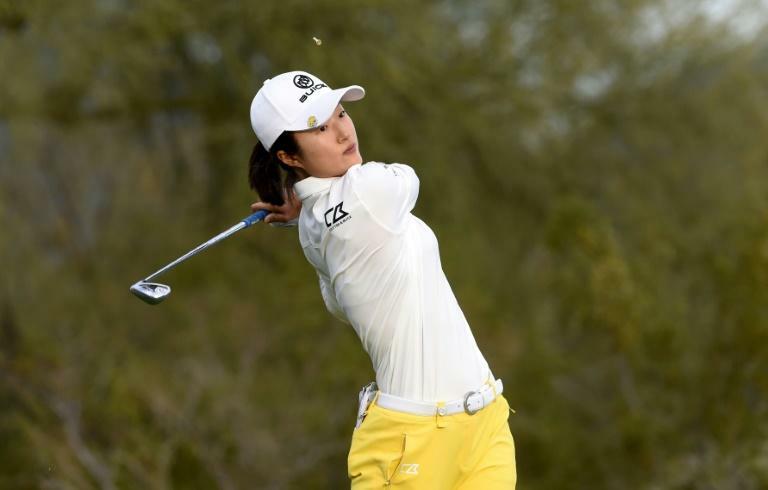 Liu, who shared the overnight lead with world number one Park Sung-hyun, was four-under over her last four holes -- with an eagle at the par-five 15th and back-to-back birdies to finish -- to overtake Spain's Ciganda with a 54-hole total of 19-under 197 at the Wildfire Golf Club in Phoenix, Arizona. Ciganda had roared up the leaderboard with a blemish-free nine-under par 63 -- playing her last five holes in five-under with a birdie at 14 followed by an eagle at 15 and birdies at 16 and 18. "It's a lot of fun," Ciganda said of seeing all the birdies land. "When you make putts, it's great. Really I've been playing great. I'm hitting lots of greens so it was a matter of making lots of putts." At the par-three 14th, she said, "I hit a really good shot there, tap in. "They put the tee up on 15 so I hit driver, seven-iron, made a good putt for eagle." Birdies followed at 16 and 18, putting her alone in front until Liu powered past her. Spain's Azahara Munoz showed early on that low scores were possible, firing a bogey-free 63 that like Ciganda's included seven birdies and an eagle at 15. Munoz grabbed her eagle despite chunking her approach. She pitched in from some 70 yards out. "It was fun today," she said. "Everything was working."